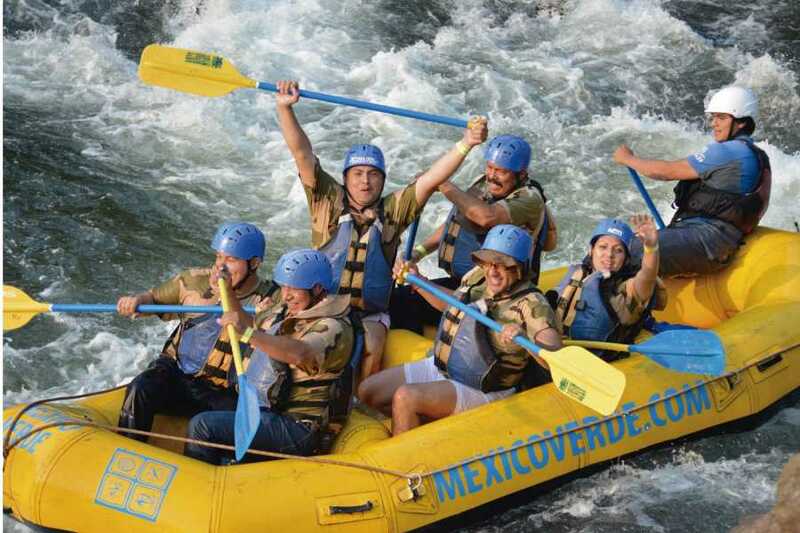 Rafting in Jalcomulco from Veracruz or Boca del Rio - Tours y Tickets Operador Turístico en Veracruz, México. If you love the extreme and action, our Tour los Rápidos de Jalcomulco is the best option for you, it includes the raft along El Río Pescados, zip line and other extreme activities. Do you feel tired about the routine of the big city? This is a great moment to change your energy and there is nothing better than scape to Jalcomulco. Because of its pronounced topography this is the perfect site to start a rafting tour descending at full speed along el Río Pescados. This will give you unparalleled fun as you crosses las agitadas aguas de los ríos; Actopan y Pescados. 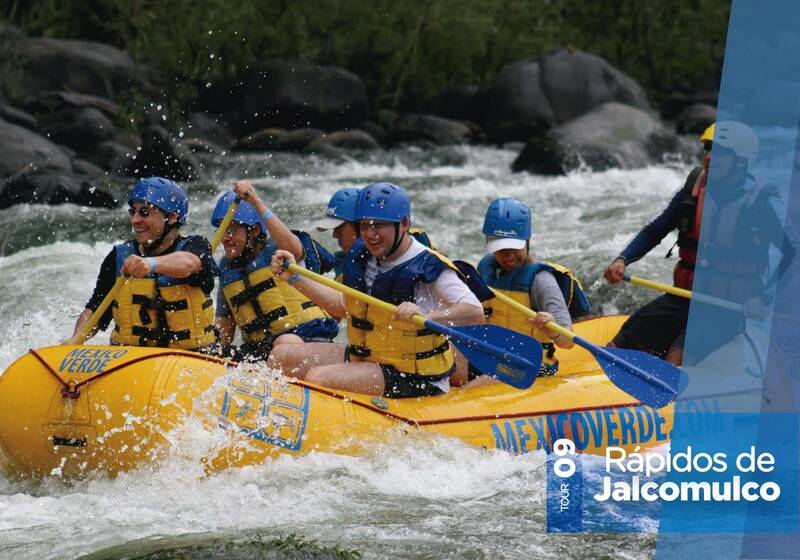 This attraction was made for all the public, a group of expert will guide you, and they also training you, while they accompanying you throughout the rafting. 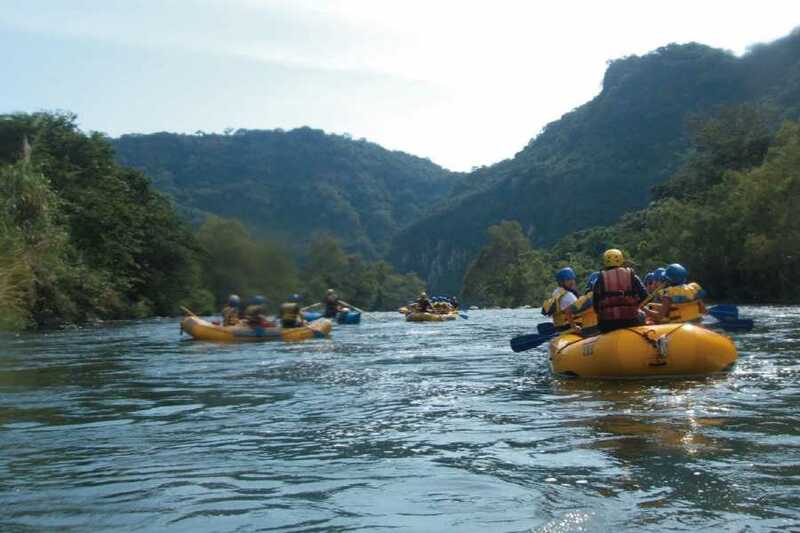 In addition you can enjoy other sports activities like: zip line along the river, just in case you wanted more extreme. 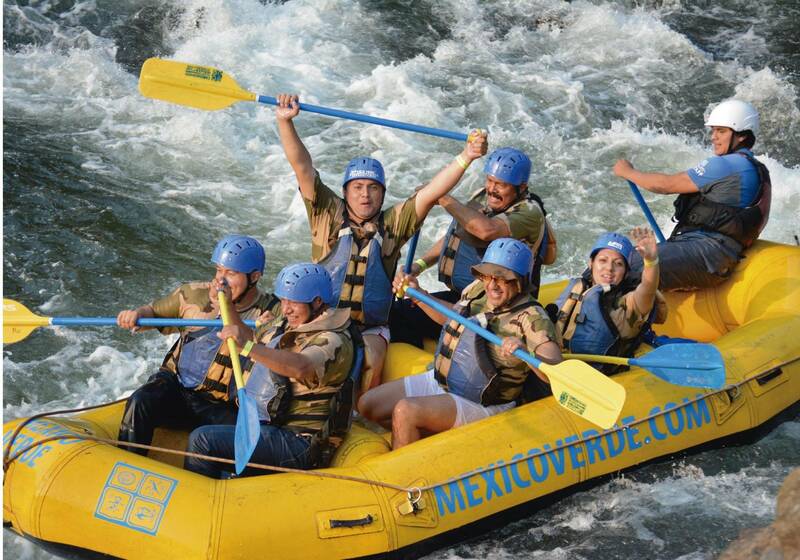 This tour includes: transfer, Buffet, equipment, an introduction about rafting with the help of professionals. Nice and gentle people will welcome to you at your arrival, this is a picturesque village dating back to the pre-Hispanic times and was founded along of El Río Pescados. 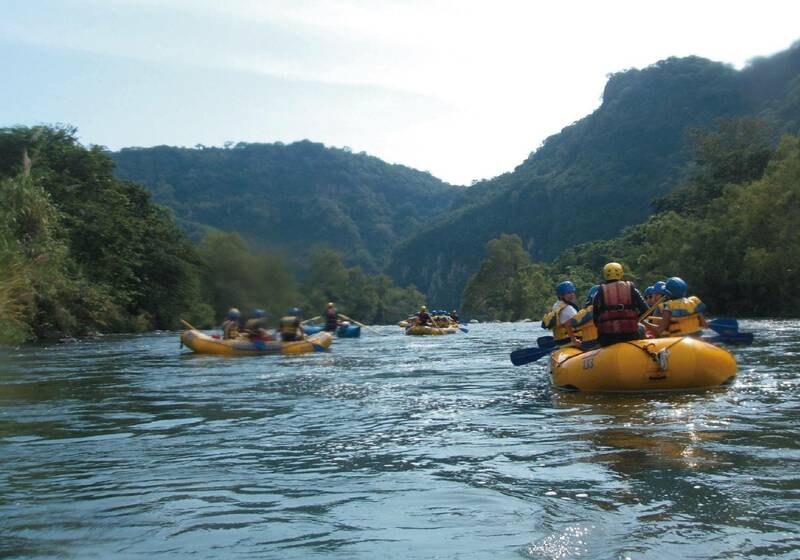 Enjoy all the facilities that the camp offers you to make the raft along the river. • Tips: Wear comfortable clothes and shoes, sunblock, cap or hat. Additional cash just if you want souvenirs or food. • Pick up at your hotel at 9:00 hrs. • Headed toward the heart of the city. • Arrived at the camp. • Security conference and rafting gear. • Rafting along the river. • Back to the camp. • Free use of the camp facilities.